Going for the liquid look on your lips? If you want super high shine and oodles of gloss, Essence XXXL Shine Lipgloss in Pure Chic is a must have. Now, I'm normally not one for clear lipglosses. I like COLOR. But, in the case of this clear gloss, I've made an exception and will actually wear it by itself. That's right -- no color on my lips, just a lot of shine. I love that this lipgloss easily and smoothly glides onto lips with the slightly curved applicator. There's absolutely no stickiness or tackiness, which I must admit surprised me -- I fully expected for my lips to feel terrible after applying, but it actually feels like a moisturizing lip balm! This shouldn't be that surprising, since it's formulated with nourishing Vitamin E and panthenol. And, whether you choose to wear it over other lipglosses and lipsticks or by itself, you're guaranteed a heck of a lot of shine. My lips have never been glossier! And here's the best part. It costs less than $2! 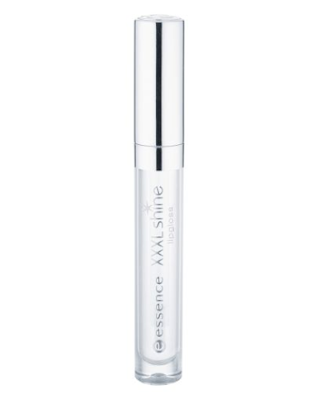 Essence XXXL Shine Lipgloss in Pure Chic retails for $1.99 at ulta.com.